Yesterday was one of those glorious and wondrous Winter days that makes living in the South worthwhile. So, it was grab the camp stool and off to the Georgia State Botanical Gardens for a walk and a bit of drawing. More explorations in charcoal and gum arabic. Just outside of the native plant garden I discovered some blooming Lenten Rose plants and set up for drawing. It wasn’t a long session but the walk was especially pleasant after all gloom and wet over the past week or so. Tomorrow promises to be just as nice so it’s off to Ben Burton Park and noname creek. And so he set to work to try and climb the long uphill road that separates mechanically accurate drawing from artistically accurate drawing. I’ve spent more time on this painting than I normally do but I think it was worth the effort. I began with idea of moving up in size to 22×15 ; as well as, using 140lb Arches coldpress but for practical and aesthetic reasons I decided to use 15×11 300lb Arches coldpress. Changing your support is a fundamental change in how you work. I chose the 300lb paper because it is very tough and I wanted to try some lifting and that requires a strong durable surface. 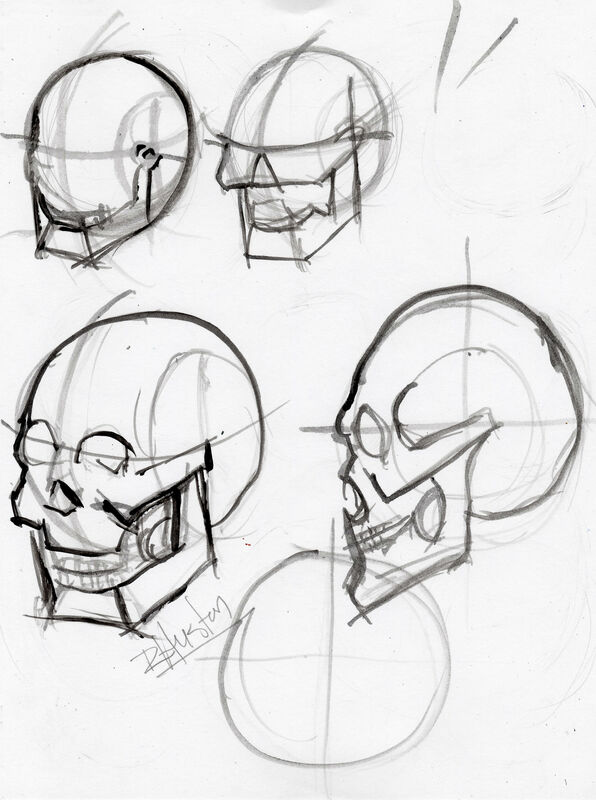 Typically I don’t do studies, preferring to work more directly from my resource materials. However, with this painting I wanted to explore some possibilities in composition, color and approach before I started. When you do studies one of the most important things to remember is not to fall in love with the ideas you’re exploring. Keep the ones that work and drop the ones that don’t. Changing your support is a fundamental change in how you work. I chose the 300lb paper because it is very tough and I wanted to try some lifting and that requires a strong durable surface. Art probably owes more to form for its range of expression than to colour. Many of the noblest things it is capable of conveying are expressed by form more directly than by anything else. And it is interesting to notice how some of the world’s greatest artists have been very restricted in their use of colour, preferring to depend on form for their chief appeal. It is reported that Apelles only used three colours, black, red, and yellow, and Rembrandt used little else. 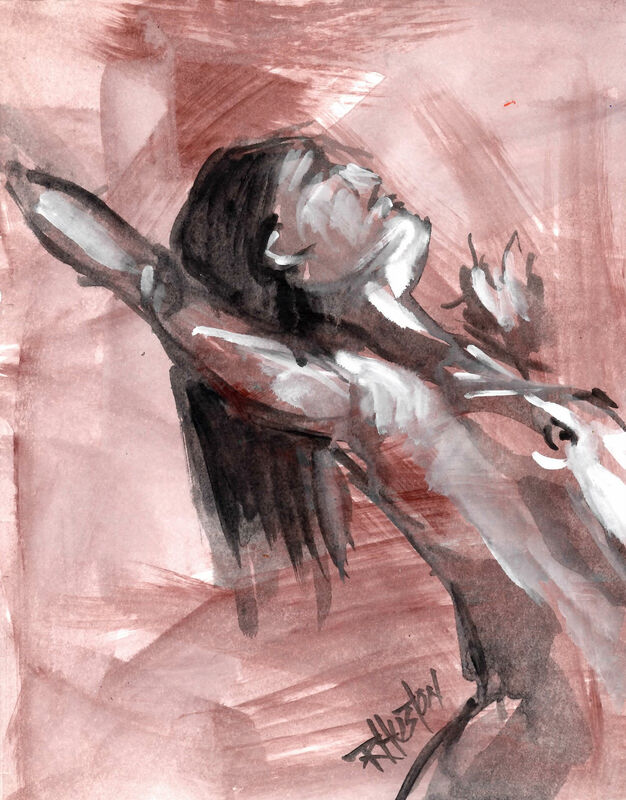 When you look at figure drawing fun 05 as a part of my continuing figure drawing project and see I’m really enjoying the celebration, it’s easy to overlook that drawing the figure is one of the most fundamental skills for any painter. I especially like 19 figure from the session. 18 figure 8×11, acrylic; 5 min. 19 figure 8×11, acrylic, 5 min. 21 figure 8×11, acrylic; 15 min. 22 figure 8×11, acrylic; 30 min. Figure drawing fun 04 is the firs session featuring a Male model and I quite happy with the result i.It has been quite a bit of fun to work on my new figure drawing project and something I want to continue for a good bit longer. I chose 25 figure for the featured image because I like the freedom and flow of this painting or drawing. I really don’t which it is and don’t really care. A great deal of the fun is blurring the line between painting and drawing. As Cezanne said, “Drawing and colour are not separate at all; in so far as you paint, you draw. The more the colour harmonizes, the more exact the drawing becomes.” I’ve intentionally used a very limited palette of Raw Umber, Black and White on Burnt Sienna toned paper. In figure drawing fun 02 I’m continuing to work with timed sessions. These three paintings were done in 3 fifteen minute sessions in an evening. I’ve also started working on toned paper again gradually working my way back into color and I’m finally beginning to feel confident enough with my figure drawing to go beyond just what I see. 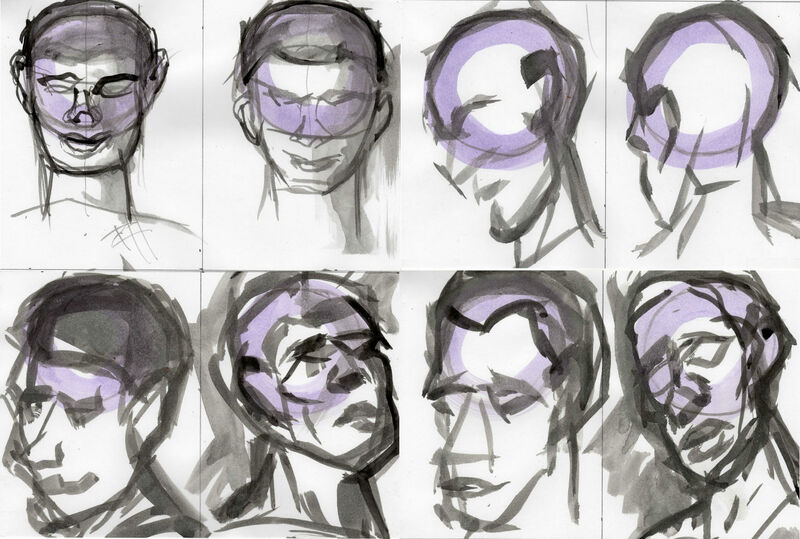 These croquis are from week 117 on the Croquis Cafe. The featured image above is a 5 minute work in a mix of ink and acrylic. The black and white drawings in the composite below are 2 minute pieces and the colored ones are 1 minute works. I’m not sure how I want to use the Croquis Cafe. I think doing a couple or three sessions a week will be a good start. A croquis comes from the French like many of our modern artistic terms and can only be roughly translated into English as a quick or rapid drawing. It’s usually done as a preliminary study or warm up to a session with longer poses. Me, I like them because I find a croquis to be fun and the most direct way of working. There is spontaneity of expression in a croquis I enjoy, it’s like the boogie, it’s in me and it’s got to come out. I have come to find that there is no censorship in expression in the rapid choices that must be made to do these in a timely manner. When I over think my work it becomes overworked. That is a serious concern for me and something I try to address in every work I do. Setting a time limit to a piece is an excellent way to force to stop before it goes to far. 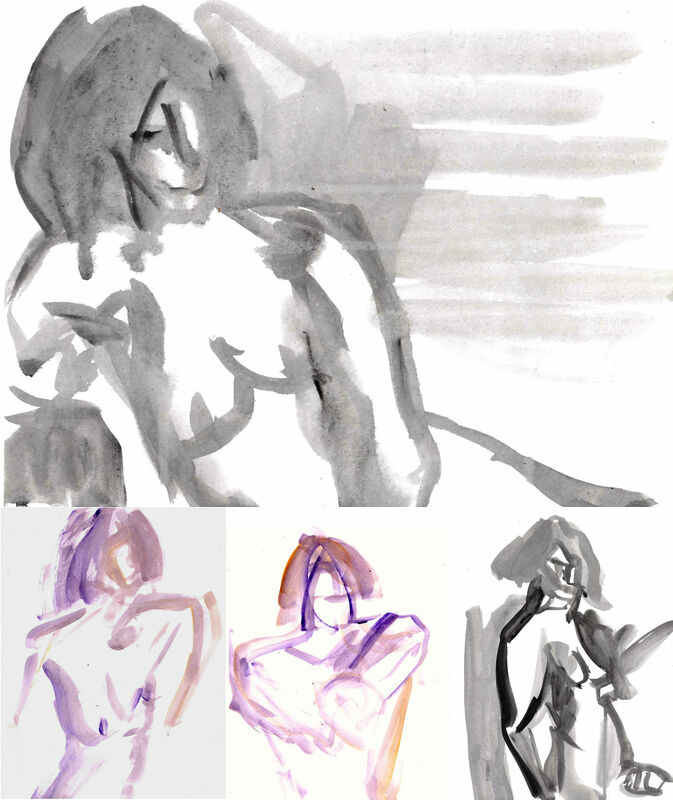 These three brush drawings are taken from the Croquis Cafe week 119 with Heather as the model. They are all 1 minute drawings and I like the momentum you build up drawing this way. I plan on continuing with this session and moving on the next poses. They provide you with 1 minute, 2 minute and 5 minute poses. I like to do a 2 0r 3 drawings of each poses before moving on to the next. It’s like having a life drawing session right in your studio any time you want one. They also have a nice archive of still photos to draw from and they’ve just added a new group of hands that I’m very excited about.